Rouse your rough inner rebel! 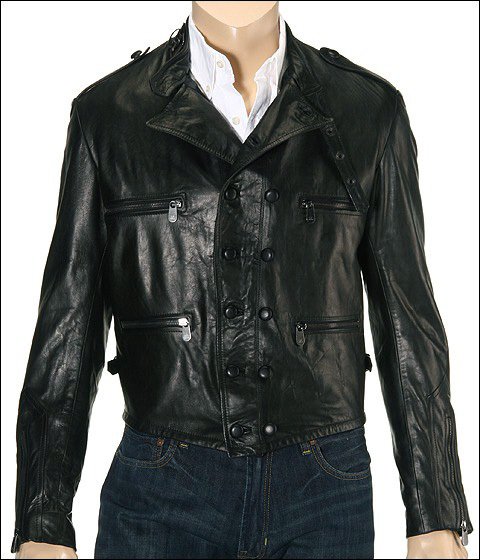 This bad boy jacket from Ferre Jeans is too tough to top! Take this terrifically tough look for miles of seductive smiles. Double breasted front. Neck has a buckled belt for an alternate look. Zippered chest pockets. Zippered side pockets. Long sleeves with zippered ends. Shoulder epaulets. Adjustable buckled side straps. Waist length. Inner pocket with button tab. 100% leather. Professional leather clean only. Imported.